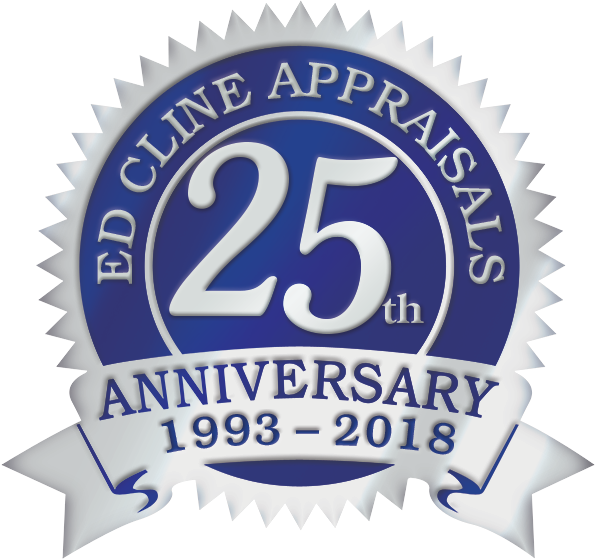 Ed Cline Appraisals is celebrating its 25th anniversary on Friday, July 13th with an “Open House” and ribbon-cutting ceremony. BEAVER FALLS, PA, USA, July 2, 2018 /EINPresswire.com/ -- Ed Cline Appraisals started with humble beginnings on July 15th 1993. Working out of his dining room in Patterson Township, Ed soon realized that he needed to recruit his aunt Verda Vrana to help with bookkeeping. Next, he moved to a small office in Patterson and hired another appraiser, Rodney Dravenstott. A few years later, they moved to a house on the corner of Darlington Road and Rt. 51 in Chippewa Township where the GetGo gas station now stands. The business continued to grow and now employs 11 appraisers with a small staff of support personnel. Ed Cline Appraisals provides appraisals for both Residential and Commercial properties. In 2003, Ed purchased and renovated a warehouse at 2777 Darlington Road in Chippewa Township which now serves as a large office complex that houses over 20 employees as well as other local businesses. Ed Cline Appraisals is celebrating its 25th anniversary on Friday, July 13th with an “Open House” and ribbon-cutting ceremony. The extensive field work and education as certified appraisers make Ed Cline Appraisals qualified to provide home valuations in Western Pennsylvania for clients ranging from national mortgage companies to local lenders or individual businesses and consumers. Earlier this year, Ed Cline Appraisals published a special report titled Consumer Guide to Real Estate Appraisals. To receive a free copy of the consumer guide, call (724) 847-3211 or visit www.eca1.com. If you would like more information about this topic, please contact Ed Cline at (724) 847-3211 or email at edcline@eca1.com.